Discovery Day, also known as Cabot Day, commemorates John Cabot's arrival to Newfoundland, which marked the first discovery of this Canadian province. In 1497, John Cabot sailed from England in the hopes of reaching the Asian continent. Instead, on June 24, 1497, he arrived in present day Newfoundland and Labrador, claiming the land for the English King. The following year, Cabot sailed a second time but the fate of his expedition is uncertain and he was never heard from again. 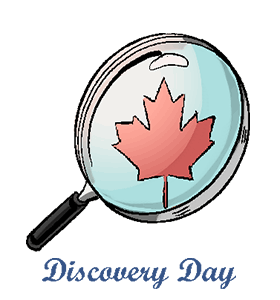 Each year on the Monday closest to June 24, residents of the province of Newfoundland and Labrador celebrate Discovery Day to commemorate John Cabot's first expedition. Although John Cabot claimed the land for England, his name was actually Giovanni Cabotto and he was born in Italy. Upon discovery of the land, Cabot named it New-found-land after realizing that the had not reached Asia. Today, residents of the province of Newfoundland and Labrador speak a very unique dialect of English called Newfinese. This dialect stems from island isolation and the interaction between French, Irish and English that was brought with European settlers. Set out on your own explorer adventure by either traveling to a new country or exploring an unknown destination nearby. Read The Race to the New World by Douglas Hunter to learn more about John Cabot and Christopher Columbus. Try some Newfoundland culinary delicacies such as Tinned Cream, Fish 'n' brewis (cod, bread and pork fat) or Jiggs' Dinner (corned beef and cabbage with a twist). Listen to Newfoundland music, a rich mixture of Irish, English and Cornish traditions. Popular artists from Newfoundland and Labrador include Great Big Sea, Shanneyganock and The Irish Descendants. Visit Bonavista, Newfoundland, the supposed landing site of John Cabot. The picturesque coastal town is surrounded by cliffs, icebergs, scenery and a lighthouse. The town also has a full-size floating replica of Cabot's ship The Matthew.